Who could've guessed that would happen? 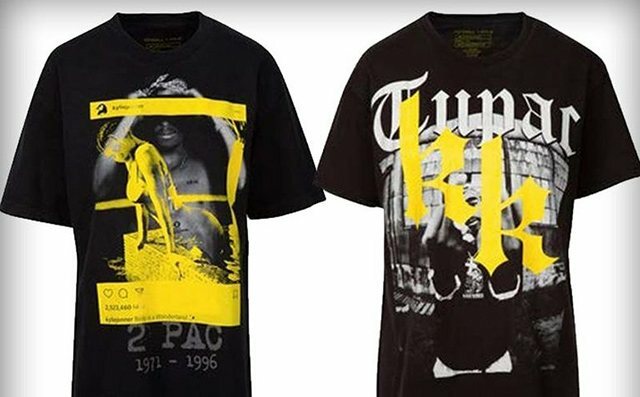 In a turn of events absolutely no one could've predicted, one of the photographers whose images was used in Kylie and Kendall Jenner's ill-fated "rap vs. rock" t-shirt collection is suing the sisters. To recap: Not too long ago, the Jenner sisters released a series of t-shirts for their line Kendall + Kylie. The shirts featured their selfies and emblems (like, uh, "KK") on top of iconic rap and rock idol photos. Most notably, the ever-appropriative sisters drew fire from the Notorious B.I.G. 's mother for using her son's image and then putting one of their own over it. In documents obtained by TMZ, Miller is suing for any profits made off of the shirts. He also claims that he specifically didn't want to work with the Jenners because of recent PR mishaps like that ill-conceived Pepsi ad. However, the Jenner family representative, Todd Wilson, told TMZ the lawsuit is "absurd." He claims "it's like suing an actor for being in a movie" because Kendall and Kylie had nothing to do with the creation of the T-shirts and were only responsible for approving the designs. It seems extremely likely that the Jenner design team is sorely regretting ever coming up with this strange and now suable venture.